All music libraries are different, and a dedicated free music player can help you get the most out of yours. If you’re still using a general purpose media player, you’re missing out on a wealth of features that can make organizing, expanding and enjoying your music a breeze. MusicBee is an excellent pick for those who have huge collections of tunes that need to be organized. MusicBee can import your existing iTunes and Windows Media Player libraries, and lets you tag each file as you see fit. The program’s Auto DJ feature lets you sync with Last.fm, and will play similar artists/genres based on what you play. You can also set MusicBee up to organize your favorite podcasts, audiobooks, and radio stations as well. 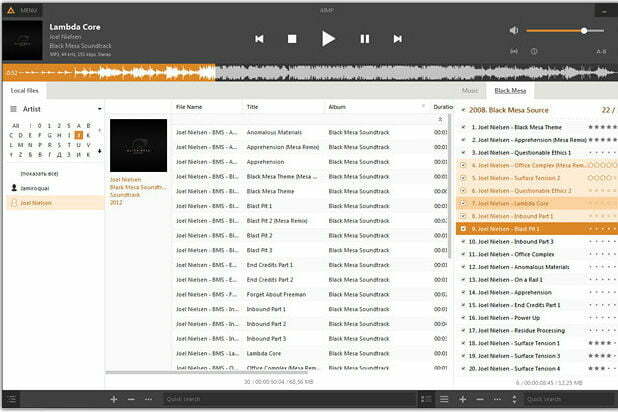 AIMP is a free audio player for Windows. 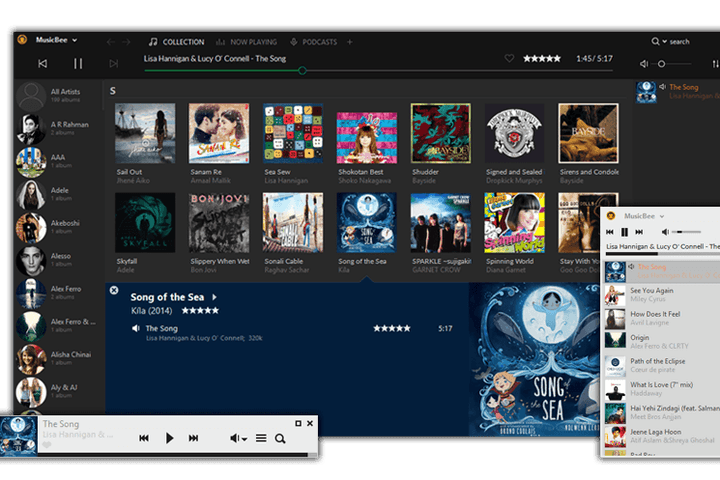 AIMP is a full-featured free music player designed with sound quality and wide, customizable functionality in mind. It works with multiple playlists immediately, allows creation of bookmarks and also has a playback queue. Foobar2000 is an advanced freeware audio player for the Windows platform. Some of the basic features include full unicode support, ReplayGain support and native support for several popular audio formats. It doesn’t mess with fancy buttons or bright colors, instead preferring a utilitarian, straightforward user interface to let the music speak for itself. MediaMonkey plays and organizes both music and video, and unlike some dual-purpose media players, it does an excellent job of both. It identifies tracks with missing metadata and searches for the information online, and like MusicBee, its superb tagging tool lets you tag files using industry-standard formats. Winamp is a free multimedia player supports numerous audio and video formats. It also plays streamed video and audio content, both live and recorded, authored worldwide. It has an extremely customizable media library, and allows you to rip and burn your favorite music CDs. Winamp has thousands of skins and plug-ins that allow you to change the look-and-feel of the player, as well as add new features. fror myself one of the best is>>> winamp ….